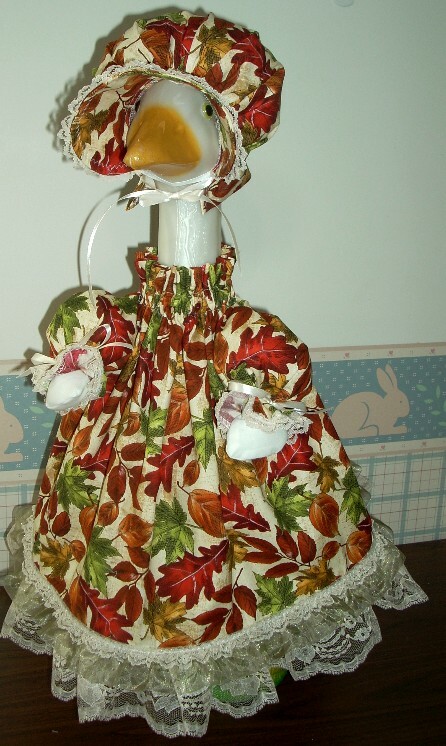 Green Fall Leaves Dress & Bonnet comes in the featured fabric print. The dress is gathered at the neck with a lace ruffle at the bottom. 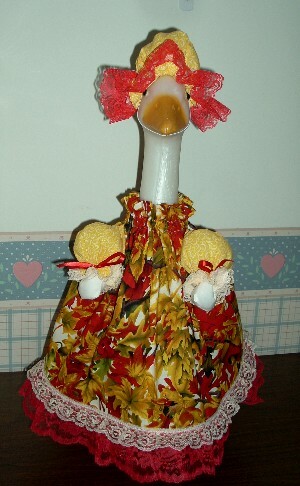 The dress comes with a matching fabric bonnet trimmed in lace. Large Pumpkin/Sunflower Print Dress & Cap comes in the featured fabric print. The dress is gathered at the neck with a lace ruffle at the bottom. The dress comes with a matching fabric cap trimmed in lace. 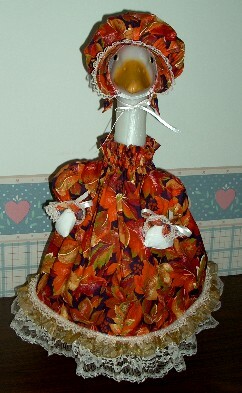 Fall Assorted Leaf Print Dress & Bonnet comes in the featured fabric print. The dress is gathered at the neck with a lace ruffle at the bottom. 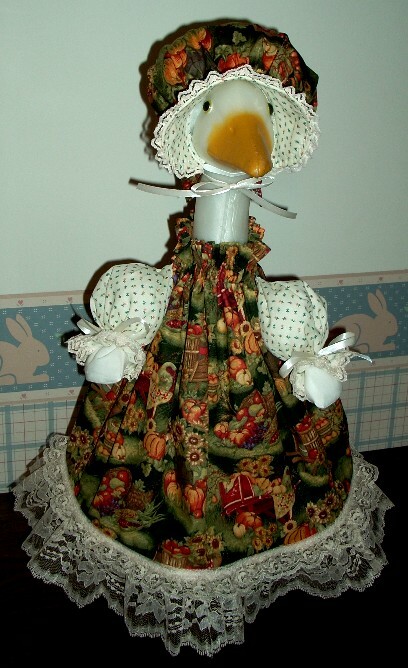 The dress comes with a matching fabric bonnet trimmed in lace. Green Oak Leaf/Accorn Print Bodice Dress comes in the featured fabric print. The dress features a raised bodice and a gathered full skirt. The dress comes with a matching fabric hat trimmed in lace. Red/Yellow Leaf Print Dress comes in the featured fabric print. The dress is gathered at the neck and has a lace ruffle at the bottom. Also comes with a matching cap trimmed in lace. 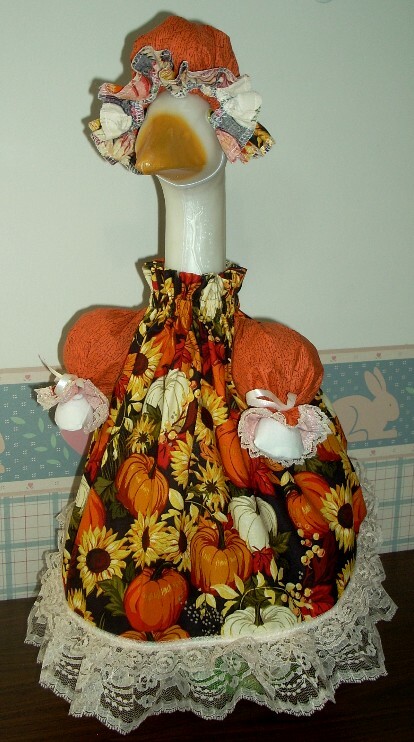 Fall Sunflower/Pumpkin Print Dress & Cap comes in the featured fabric print. 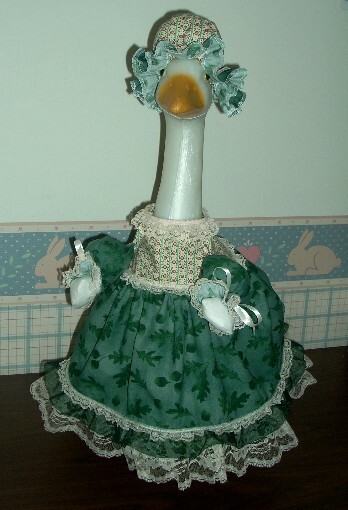 The dress is gathered at the neck and has a lace ruffle at the bottom. Also comes with a matching cap trimmed in lace. 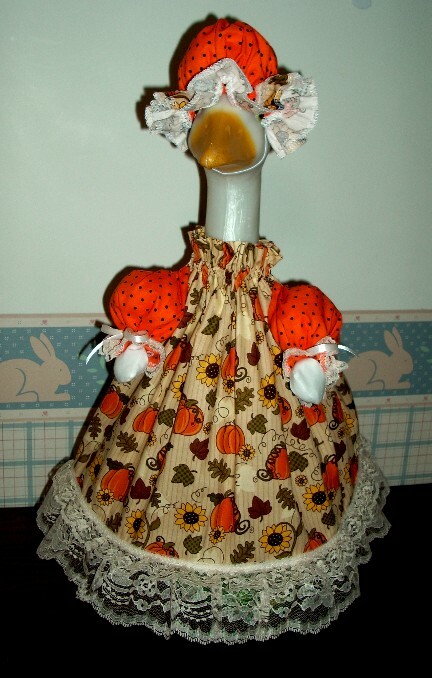 Fall Harvest Bounty Print Dress & Bonnet comes in the featured fabric print. The dress is gathered at the neck and has a lace ruffle at the bottom. Also comes with a matching bonnet trimmed in lace. 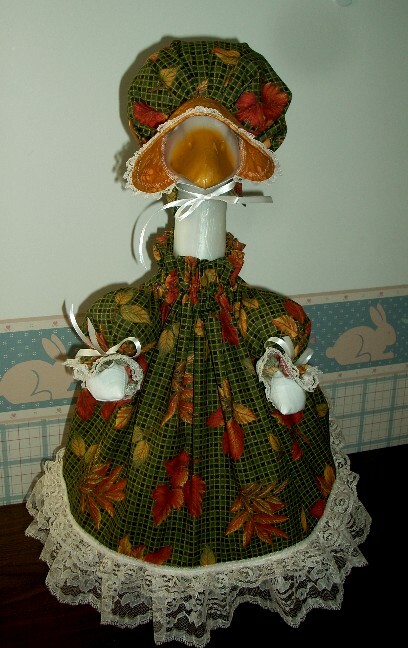 Gold/Rust Fall Foliage Print Dress & Bonnet comes in the featured fabric print. The dress is gathered at the neck and has a lace ruffle at the bottom. Also comes with a matching bonnet trimmed in lace. 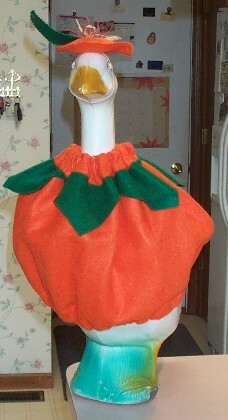 Pumpkin is made from premium grade orange felt with gathered neck & bottom and is decorated with raffia & ribbon. Also comes with a decorated orange cap.